We bring you some very important and interesting facts bout Indian Independence. Read facts about 15 August which we celebrates as Independence Day of India. Facts about Freedom Struggle, and after getting freedom from British. Facts and Truths about Indian Flag, national anthem and more. So read and share these awesome and amazing Facts about Indian Independence. 10 Facts You Must Know About Independence Day!! 1. National flag was hoisted first on August 7, 1906 at the Parsee Bagan Square in Calcutta. The flag was composed of horizontal strips of red, yellow and green. The red strip at the top had eight white lotuses embossed on it in a row. The green strip had a white sun on the left and a white crescent and star on the right. 2. 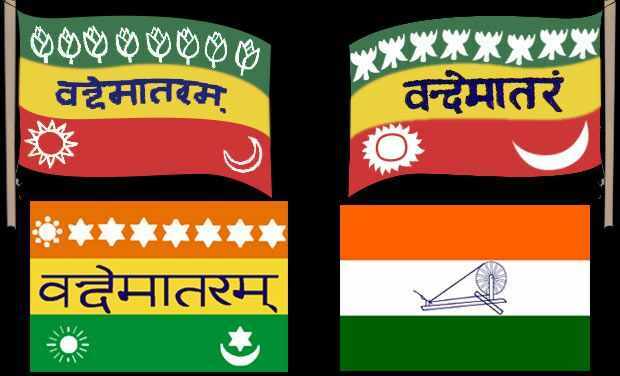 It is said that the first version of the current national flag was made by Pingali Venkayya at Bezwada in 1921. It was made up of two colors-red and green-representing the two major communities. Gandhiji suggested the addition of a white strip to represent the remaining communities of India and the spinning wheel to symbolize progress of the Nation. 3. Another Interesting Facts about Indian Independence is that When India became independent on August 15, 1947 there was no National Anthem. Even though the Bengali invocation of Jana Gana Mana was written in 1911, it was not considered as national anthem till 1950. 4. Mountbatten chose the day since Aug 15 as it also commemorated the second anniversary of Japan’s surrender to the Allied Forces. North Korea, South Korea, Bahrain and Republic of the Congo share their independence day with India. 5. On August 15, 1947, when India became free from the foreign rule, Mahatma Gandhi was in Calcutta. Gandhiji spent his day in prayers, fasting and spinning protesting the madness of communal hatred. 7. One more Interesting Facts about Indian Independence is that After India’s independence, Portugal amended its constitution and declared Goa as a Portuguese state. Indian troops invaded Goa on December 19, 1961 and annexed it to India. 8. After India attained Independence, 560 princely states joined the Indian union. 2 others, Hyderabad and Junagadh, were annexed by the Indian army. 9. The border between India and the newly-formed Pakistan was established by the Boundary Commission, a body appointed by Lord Louis Mountbatten, the last viceroy of India. The commission was headed by Sir Cyril Radcliffe, a British lawyer. Pakistan was created to provide a homeland for Muslims, but the partition led to an estimated one million deaths in communal violence after the two nations became independent. These are some of the truths or facts about Indian Independence which you should know. We will collect more hidden facts about India and its Freedom Struggle against British. In the meantime if you know any such facts about Indian Independence do post it in comment box. On 15 August it will be good thing to read and share.